You can find Part 1 of this piece at this link, posted last week on the Orbit blog. 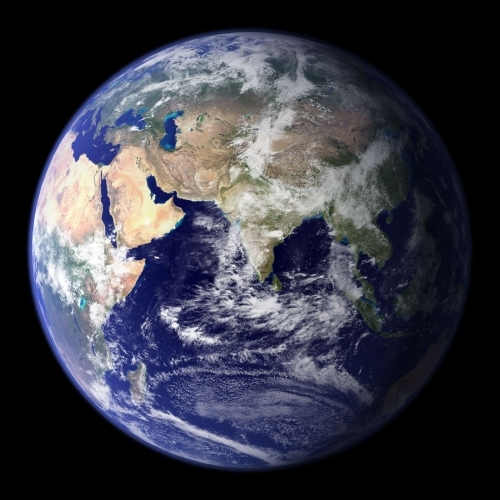 If you posit a future populated by human beings – or posthumans – who are able to live in space without rapidly dying of asphyxiation or radiation exposure, it won’t be long until you have to answer another question: why would they ever want to have anything to do with a planet, ever again? Planets are bundles of matter so massive that their own gravitational field smooths out their bumps, dragging them into a roughly spherical shape. They’re so massive that most of their volume is inaccessible, hundreds or thousands of kilometres underfoot when you’re standing on the surface. They’re also a royal nuisance if you are a spaceborne society: it takes an inordinate amount of work to give an object lying stationary on the surface sufficient kinetic energy to overcome its gravitational potential energy, i.e. to put it into orbit. So what can you mine on a water world that would justify the expense of settling its hydrosphere? The answer depends on how long it is since the planet formed . . .
A natural mixture of 99.8% U238 and 0.2% U235 doesn’t undergo criticality – that is, it can’t sustain a fission chain reaction. But back in the depths of history, the isotope ratio was different; there was more U235. Go back far enough, to a time when more than 3% of the naturally abundant Uranium was the lighter isotope, and pure enough deposits of Uranium ore could undergo spontaneous nuclear fission if soil erosion and local geography routed a river or a spring through the right outcrop. Water is a nuclear moderator: it slows fast neutrons produced by fission events, making them easier for other nuclei to capture, thus making it easier for a chain reaction to get going. Indeed, the critical mass of Uranium 235 in water is considerably lower than it is in solid form (as some of the staff at TEPCO’s Tokaimura reprocessing plant rediscovered to their cost in 1999.) It happened at Oklo in Gabon two billion years ago. And Shin-Tethys is young enough for spontaneous fission events to happen naturally. One thing any space-born civilization needs is power. Solar power is great, but it becomes less and less useful the further out from the central star you go. 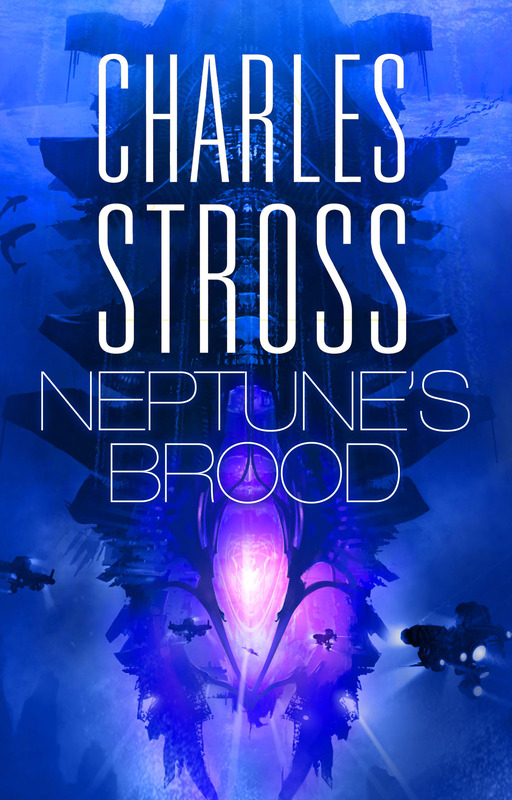 Fusion power in the universe of “Neptune’s Brood” is available – but bulky, heavy, and expensive. Fission reactors, however, are simple, robust, well-understood, and the transhumans of this world are hardened against radiation. Uranium and Plutonium, as an energy source for space vehicles, are competitive with fusion plants across all but the greatest distances: what they lack in energy density they make up for in simplicity and compact size. So Shin-Tethys occupies a vital niche in the political economy of Dojima system, in “Neptune’s Brood”: it’s where the mermaids mine the nuclear rocket fuel, one of the few substances that is more abundant, and easier to get hold of, at the bottom of a gravity well – as long as it’s the gravity well of a water world, where the rising hot bubbles of uranium salts undergoing prompt criticality fission can be identified by the eerie blue glow of Cerenkov radiation as they rise from the iceberg-infested depths of the world-ocean.